Designed for commercial and fashion photographers, this 28" EZ-Pro Deep Parabolic Softbox from FotodioX features a deep construction that provides a large and soft light source for your subjects. It comes equipped with a Norman ML speed ring, making it compatible with Norman ML400 and ML600 lights, among other models. Optional speed ring inserts can also be used for quickly switching compatibility to additional light mounts. Thanks to its heat-resistant fabric, this softbox can be used with strobes as well as continuous light sources without any problems. The EZ-Pro can be set up or collapsed in seconds. Its supporting rods open and close like an umbrella, and the included speed ring makes it easy to simply snap it onto the light. The interior of the softbox is lined with a reflective silver material and features a removable inner baffle, both of which help direct the light towards the subject and give you control over the composition. 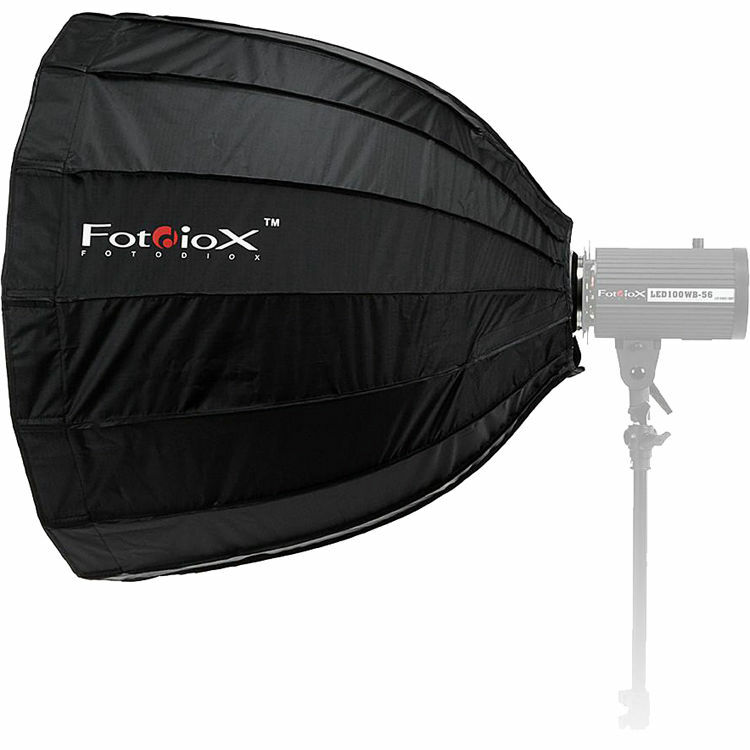 An outer front diffuser is also provided to help even out light intensity across the softbox. Both panels can be left in place while the softbox is collapsed to make for an even easier experience.